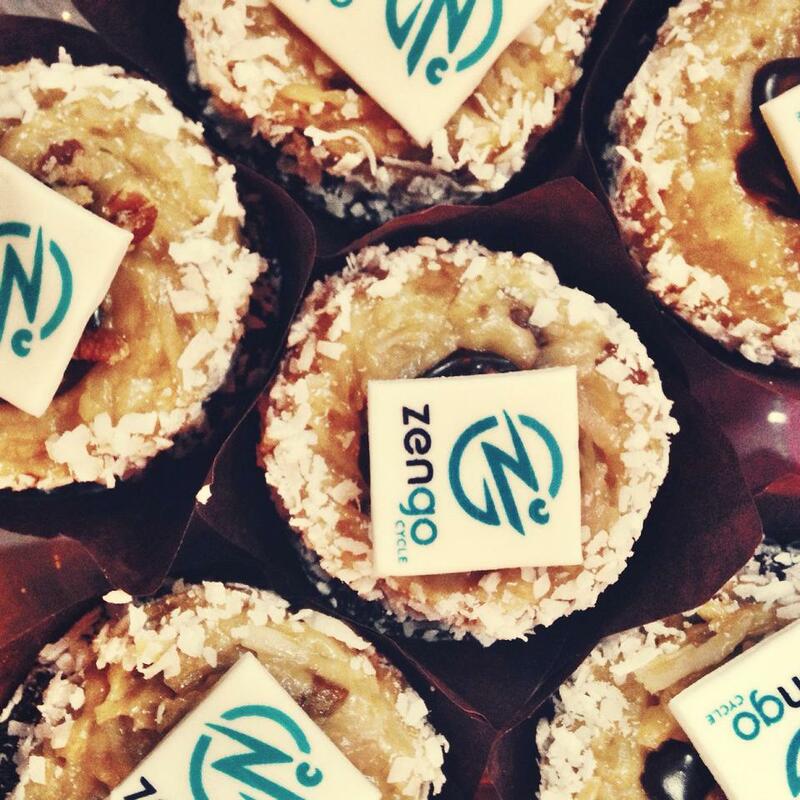 Last week, Zengo Cycle and CapFABB teamed up to host a great evening of spin, sweets (oh yeah!) and surprises! Hosted by Angelica Talan from Clarendon Moms, a fun group got together to try their hand at Kelsey’s energetic ride. The studio was bumpin’, the playlist was amazing (hey, Kelsey – what’s your Spotify account?) and the workout was … well, it was pretty tough. Bonus – some had adorable edible Zengo logos. There was more swag to be had, too – including earrings from Kendra Scott for every rider. They’ve already become a staple in our wardrobe and we can’t wait for them to open at Mosaic. Accessories dilemmas, solved. Thank you to everyone who road, the Zengo team for putting on such a great event, Kelsey for being the best instructor ever, and Angelica and CapFABB for bringing a dose of stylish energy to Mosaic. We had a blast! Photos courtesy Whitney Stringer PR.